Home Art Beautiful Fashion Illustrations at the American Music Awards 2015. Beautiful Fashion Illustrations at the American Music Awards 2015. Irish Fashion Illustrator Emma Maria Kenny Creates an Amazing Celebrities Illustrations. Just recently we all were absolutely amazed by our favorite celebrities performing at the 2015 American Music Awards.That was quite a show! As always Red Carpet for every celebrity is a particular place where they can experience and felt the real love and the appreciation of their followers and fans and paparazzi. No wonder, they supposed to shine like a diamonds to be more and more desirable for everyone who loves their lifestyle and oeuvre. To prove that they work really hard and they always ready to bear the glory. There is one young artist, who was absolutely inspired by the fame and the magnificence of all the celebrity looks at the event of the year. She has created stunning fashion illustrations of the celebrity looks at the American Music Awards red carpet ceremony. 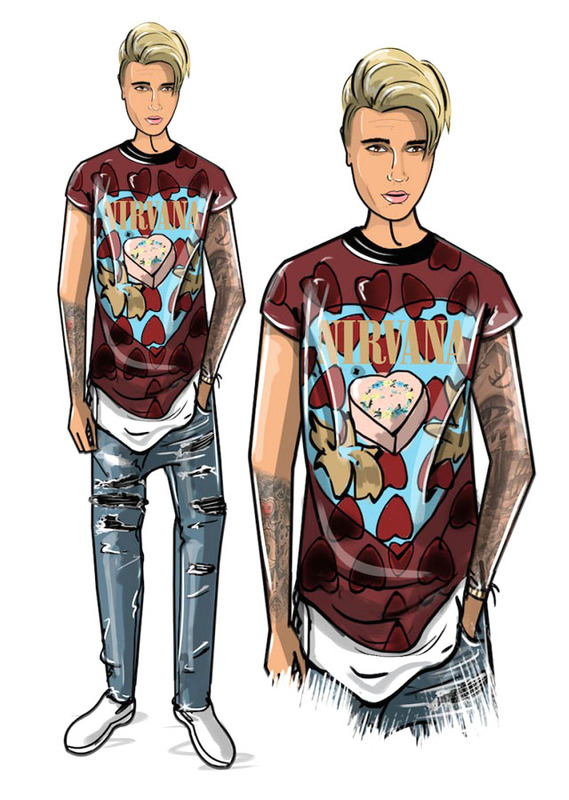 She has turned the Music Stars into the cartoon characters and they look fantastic! Magnificent Fashion Illustrations by Emma Maria Kenny. Illustration by Emma Maria Kenny.